She might be the FLOTUS, but she's still quite keen on keeping things in her private life away from the public eye. 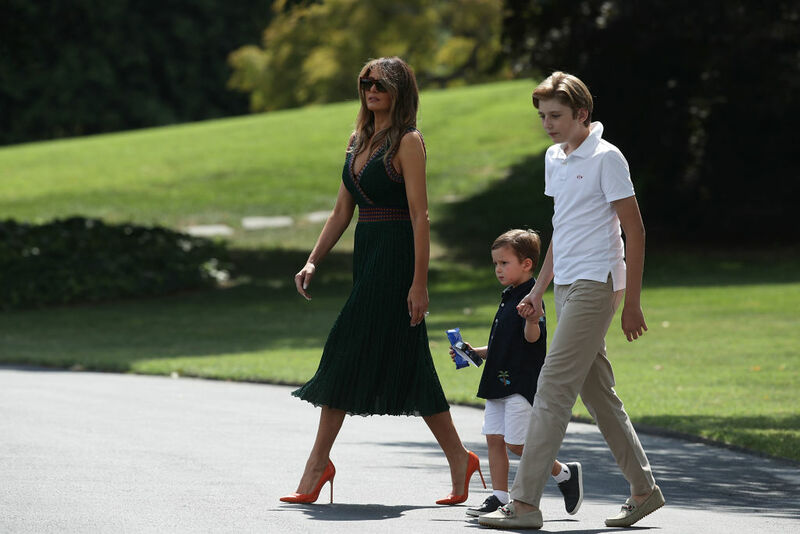 So when Melania Trump recently celebrated her son Barron's 13th birthday party, it came as a pleasant surprise when she decided to give the world a little sneak-peek into her extremely private lifestyle. The US First Lady gave a rare glimpse inside Barron's birthday celebrations on Wednesday and posted a picture of a gold helium number 13 balloon on her social media accounts to mark the big day. She wrote alongside the photograph, "Happy Birthday BWT", as reported by Hello!. 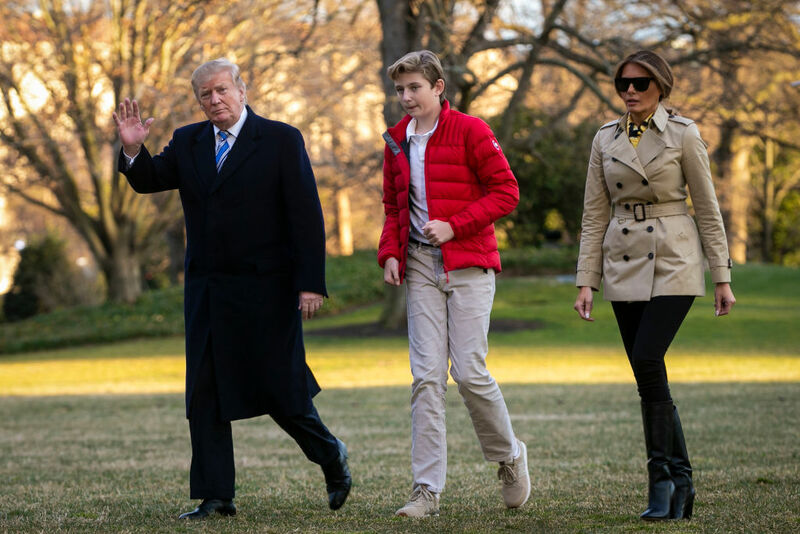 Barron, whose full name is Barron William Trump, is thought to be in Florida at the Mar-a-Lago currently with his mother since it coincides with his spring break. Fans were quick to wish Barron many happy returns, with one writing: "Congrats little man! The big 13, hope you have a wonderful birthday." Another Twitter user wrote, "Happy birthday Barron! Wishing you all the best!" A third added: "Happy birthday to BWT!! You're officially a teenager! Wishing you all of God's best blessings!" Melania's birthday post for the teenager came as a surprise since Barron has mostly kept away from the public eye. However, the teen has made several public appearances throughout his childhood, more so now because of his father's position as President of the United States. Few would know this, but Barron, when he was just two months old, made his first TV appearance on 'The Oprah Winfrey Show'. 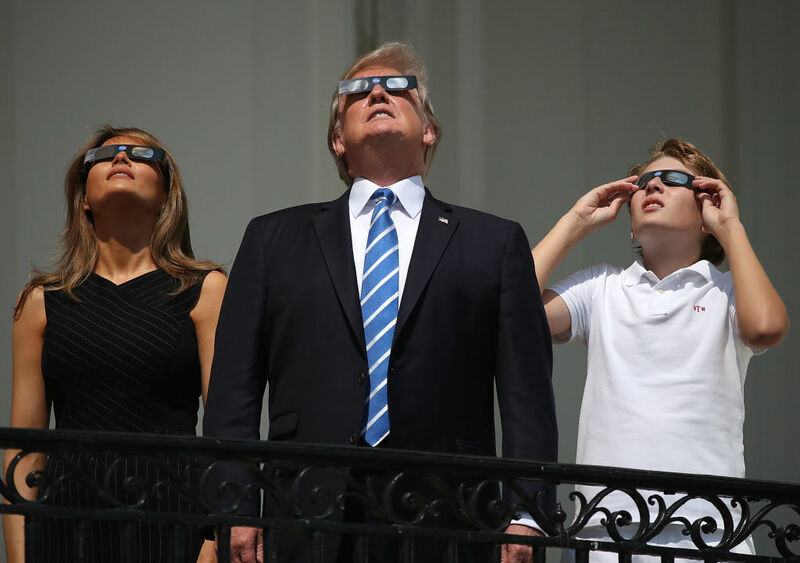 The young lad was also spotted several times in public during the 2016 elections, but his presence was kept to a minimum as his mother Melania wanted to keep her little boy away from the unnecessary spotlight. He was also spotted at Donald's RNC acceptance speech and presidential victory speech. Barron is Melania's only child, and Donald's youngest, which makes it obvious that he is doted on by his parents to no end. The US First Lady has previously spoken about motherhood, saying it is the "most important and joyous role" she has ever had. The former model even gave a speech during a luncheon at the US Mission to the United Nations in September 2017, where she shared, "The most important and joyous role I ever had is to be a mother to my young son. What could possibly be a more essential focus in everyone's life than that of loving, educating and bringing up our next generation to be happy, productive and morally responsible adults."